Supporting Oral Health Nevada has never been easier. Make a collective impact by inviting your friends and family, too. Shopping online is becoming more commonplace these days. Almost every department store and service you can think of participates in these charitable giving options. Common places you shop such as Macy’s, Ace Hardware, Dillards, Overstock.com, Nordstrom, travel and hotel sites, and many more. The percentage donated by each store varies and changes from time-to-time. Each time you shop online, you could be earning support for Oral Health Nevada. iGIVE.com Register on this site and designate “Oral Health Nevada” as the organization you are donating to. If you make your online purchases through iGive.com, a percentage of the purchase will be donated back to Oral Health Nevada. Online stores include Teleflora, Vistaprint, Ann Taylor, Apple Store, PETCO and PetSmart, and many, many more. 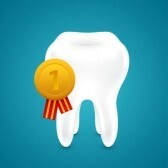 GOODSEARCH.COM You must designate “Oral Health Nevada” as your charity. For every online search you do one penny ($ .01) will be donated. Use www.goodsearch.com as your search engine, the same way you might use Google, Yahoo! or Bing – once registered, you’ll see the pennies adding up right on your computer screen. SMILE.AMAZON.com is the gateway for purchasing items on Amazon and at the same time allows you to provide financial support to the Oral Health Nevada. Once you enter www.smile.amazon.com you must select “Oral Health Nevada Inc.” as your charity – this must be done before making any purchases. For each purchase we will earn 0.5% – at NO ADDITIONAL COST TO YOU. Anyone can support Oral Health Nevada; so consider forwarding this information to your family and friends to increase the support for our projects and initiatives. Remember… you must enter Amazon through www.smile.amazon.com and you must choose Oral Health Nevada as your charity. Donate for Charity distributes the funds raised from the sale of your vehicle donation directly to Oral Health Nevada to help maintain and expand our charity efforts to promote oral health. Donate For Charity sells your donated cars through a national network of auction and salvage houses to ensure the maximum donation possible is given to us. In return for your donation, you’ll receive a tax deduction, based on market conditions and the condition of your donated vehicle. For more information on donating a vehicle to support Oral Health Nevada, go here. www.donateforcharity.com/charity-car-donation-form/?charity=Oral+Health+Nevada+Inc.